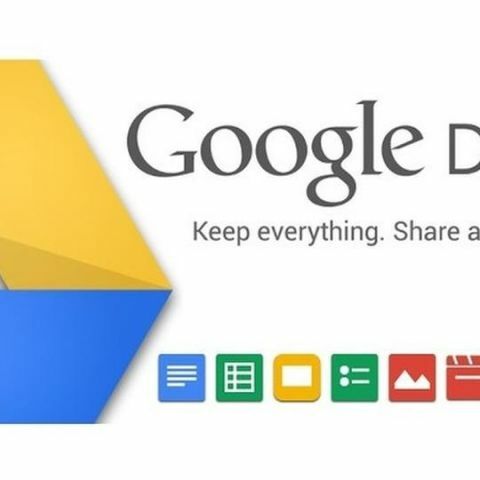 Google announced that ‘Google Drive’ will be its eighth service to cross one billion mark of daily active users. Android OS has a user base of more than 2 billion. Google is one of the few companies whose services have more than a billion users. The company’s seven services -- Gmail, Chrome, Maps,YouTube, Android, Play Store and Search -- have a user base of more than a billion. The Mountain View, California-based company has now said that its eighth service, Google Drive, is expected to hit a one billion user mark “later this week”. The tech giant made this announcement at its Google Cloud Next conference, which is currently underway and will conclude on July 26, in San Francisco. Google generally releases these numbers at its annual I/O conference. Last year at I/O, it said that the Google Drive has crossed 800 million daily active users and stores over 2 trillion files. This year, Google did not release any information at I/O. They could be waiting for this milestone to be achieved first. Google launched the Drive in 2012 and since then, it has been improving the service regularly. The company made it easier for users to access the Drive cloud-storage service on the Chrome browser by rolling out relevant applications of Drive – Documents, Spreadsheets, and Presentations – to the Chrome Web Store. Last year, it launched business-centric features like Team Drives and Drive File Stream. Google has also rolled out a new and updated user interface for Google Drive for the web. There are no changes to the functionality of the Drive and the revamp applies visual tweaks to create “a responsive and efficient experience for Drive users.” Apart from these services, Google-owned Android OS has more than 2 billion users. Which cloud is more better and more secure?